It's Good Friday here, and that can only mean one thing! 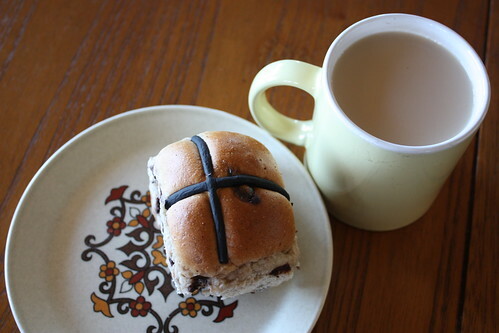 Delicious, warm hot cross buns for breakfast. Yum! It's also the second of April, which means it's my brothers birthday; Happy Birthday little bro! hehehe, busted! 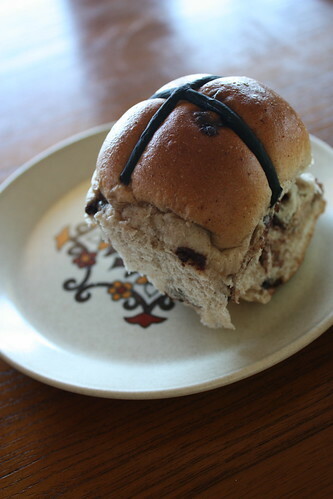 Mum had the traditional fruit buns, but I just couldn't resist chocolate!